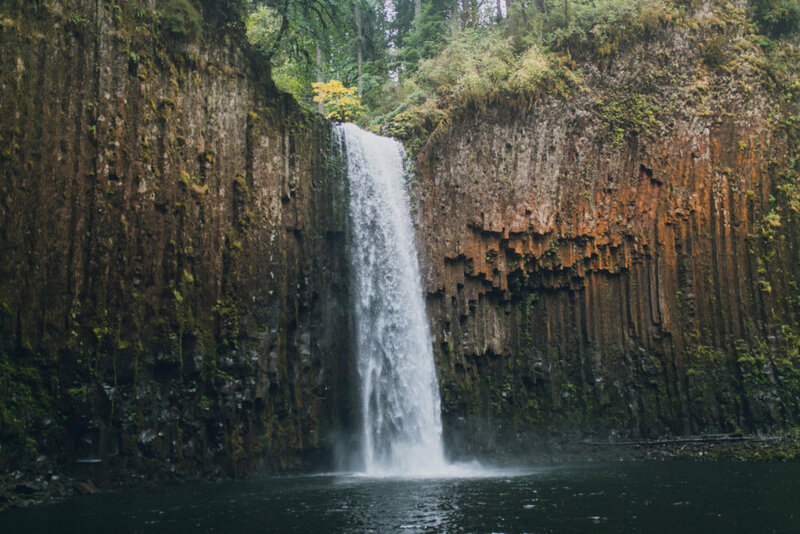 How to get there: Technically Abiqua Falls is in Marion County and not Portland. It is about 55mi or 1.5 hrs outside. It’s pretty confusing finding the trailhead so I’m going to do my best explaining it. In Google Maps put: Crooked Finger OHV. Here are the directions if service out there fails you. Take 213-S, after you pass Molalla, but before you reach Silverton, turn East for Scotts Mills and then turn south (left) for Crooked Finger Road. You might just want to map to Crooked Finger Road NE, but after 10.8 mi (first 9.5 mi is paved, last 1.3 mi isn’t) turn right onto an unmarked forest road. After about 0.9 mi you will reach a parking area on your right, I think somewhere at the 0.5 mi mark there’s a fork but always go straight (right). You can drive beyond this parking area but high clearance vehicles are recommended. We had a Prius so for sure would not have made it. After you park, you get back onto the bumpy gravel road you were previously driving on. If you have an off-road vehicle then you would keep driving. Since we didn’t, we hiked. I don’t know exactly how far we hiked, maybe a mile and a half or so downhill. It was raining while we were walking down so it was a little muddy. We walked for a while and were nervous that we had passed it but eventually it comes up on the left hidden in some trees. Up until this point the hike is pretty easy, afterwards it reaches an ‘intermediate’ level. 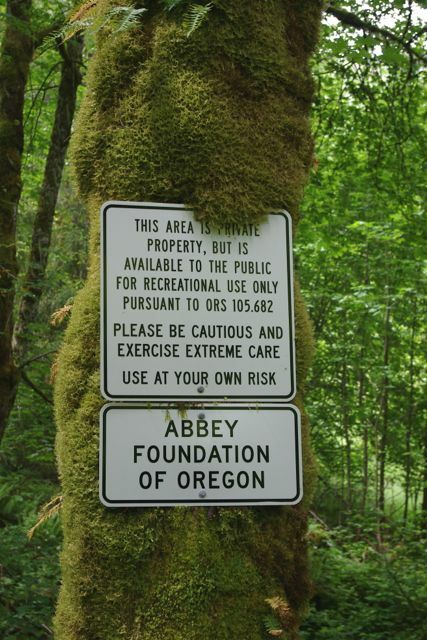 There is a white sign at the trailhead that says Abbey Foundation of Oregon. From there it is forested and you follow the orange dots on the trees to find your way to the trail. Again we went when it was raining so it was extremely muddy and slippery. I’d imagine even when it isn’t raining it is still muddy. Dress accordingly and wear proper shoes. It gets pretty steep at two or three points, so there are ropes that you can hold onto, but they are mostly for climbing back up. You can still use them going down but because it was so slippery they didn’t help a ton. I got a little nervous about slipping but the hike itself is completely doable. 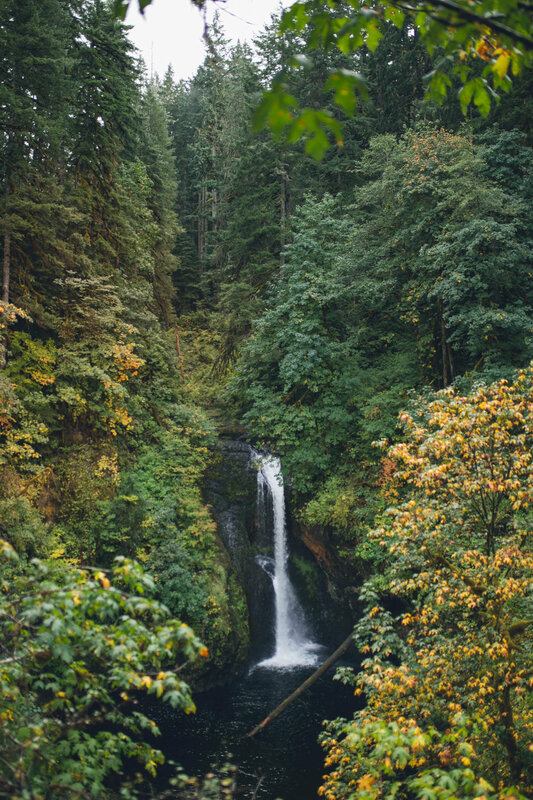 Eventually you climb down the steepest and muddiest part of the hike to the creek, from there you turn left and follow the creek until you climb over some rocks and face a magical-a$$ view of Abiqua Falls. Other than that coming back up wasn’t that fun because it was all up hill. But overall a great hike and amazing and totally worth it end-point. 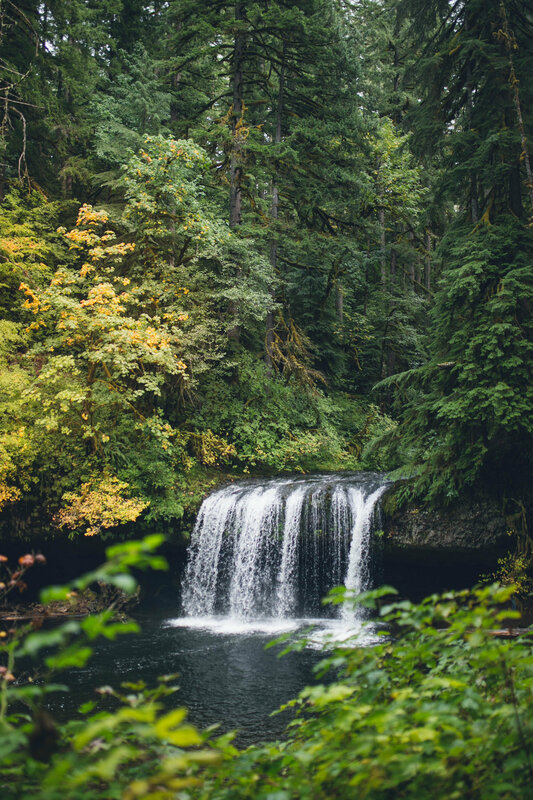 How to get there: From Abiqua Falls, return to the main road (Crooked Finger Road). Instead of turning left, back to where you came from, turn right. Drive about 1/2 mi and turn left onto Road CF400. Continue for about 1.9 mi before you reach the trailhead, there are bathrooms here. 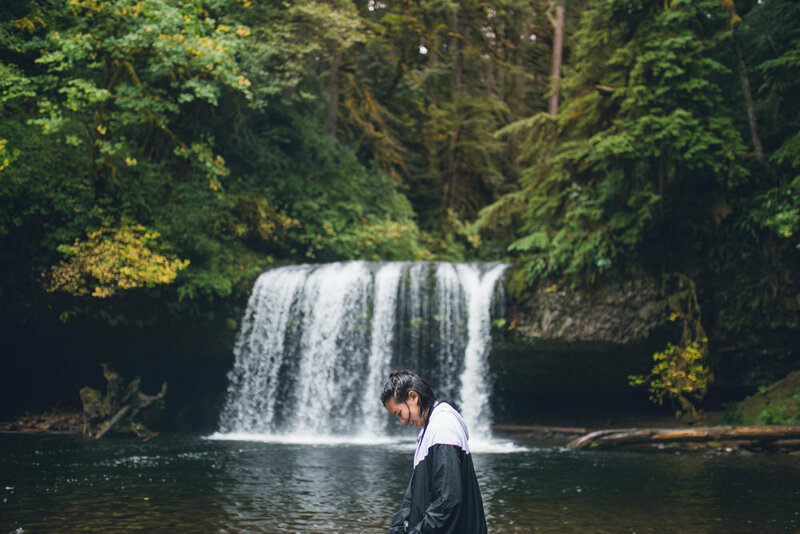 Checkout this hike through water to a hidden falls at Oneonta Gorge!